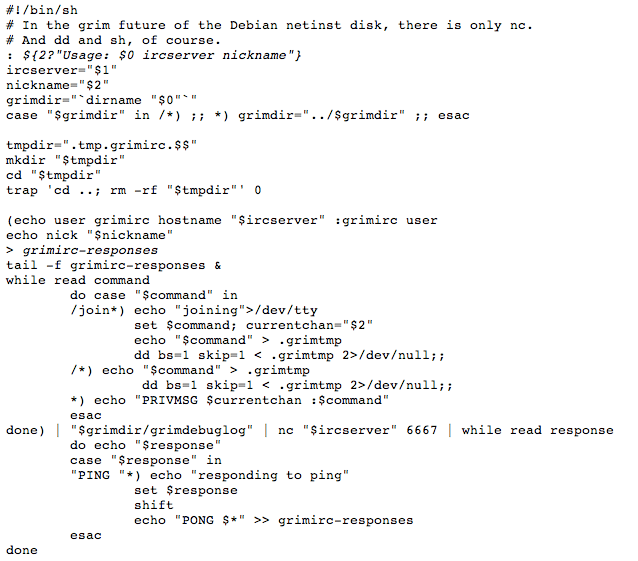 Hi folks, today I wanna point out this awesome IRC client written in 40 raws shell code. It’s wonderful, fast, minimal and so useful ! 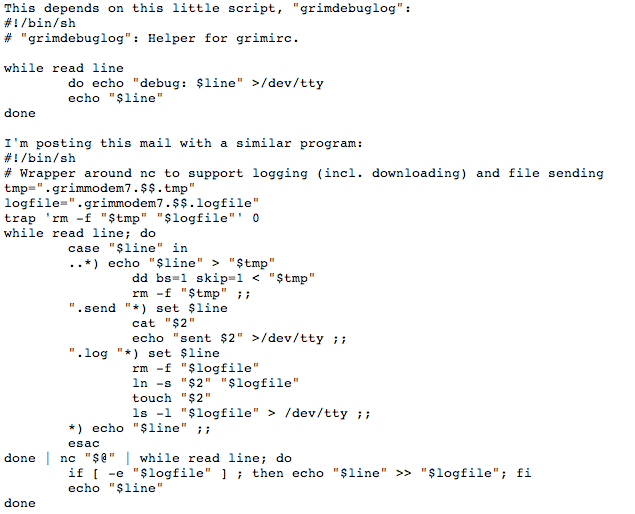 there’s no line editing or multiple window support, but otherwise it’s just like any other IRC client to use. Almost.